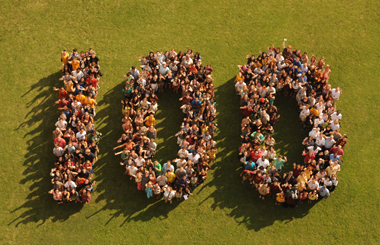 Loyola students, faculty, and staff came together for a memorable photo. 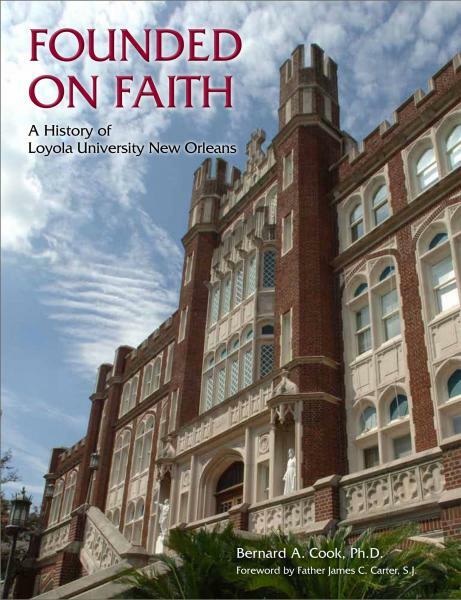 For 100 years, Loyola University New Orleans has helped shape the lives of its students, as well as the history of New Orleans and the world, through educating men and women in the Jesuit tradition of academic excellence. The university’s rich history dates back to the early 18th century, when the Jesuits first arrived among the earliest settlers in New Orleans and Louisiana. Years later, the desire for a Jesuit college in New Orleans intensified, leading to the Jesuits buying a small piece of land in 1847 and establishing the College of the Immaculate Conception in 1849 at the corner of Baronne and Common streets. Fearing that the downtown area would eventually become too congested for a college, in 1889, the Jesuits purchased a section of the Foucher Plantation across from Audubon Park, which was to be the university’s future home. In 1904, the long-planned Loyola College, together with a preparatory academy, opened its doors. The Rev. Albert H. Biever, S.J., became the first president. In 1911, the Jesuit schools in New Orleans were reorganized, and the College of the Immaculate Conception became exclusively a college preparatory school and was given the preparatory students of Loyola College. The downtown institution relinquished its higher departments—what are now known as college programs—to Loyola, which was in the process of becoming a university. On April 15, 1912, Loyola University’s charter was signed by the 11 Jesuits who constituted the governing corporation. Three days later, the charter was approved by Orleans Parish, with state approval eventually taking place on July 10, 1912. 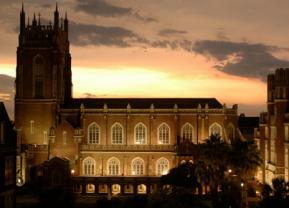 Since that time, Loyola University New Orleans has continued to remain an integral part of the city of New Orleans and has achieved a national reputation of success, ranking for the last 21 years among the Top 10 Southern regional schools by U.S.News & World Report. Loyola has graduated more than 45,000 students, who serve as catalysts for change in their communities as they exemplify the ethical and values-laden education they received at the university. With its five colleges (Business, Humanities and Natural Sciences, Law, Music and Fine Arts, and Social Sciences); two professional schools (Mass Communication and Nursing); and 63 undergraduate and 12 graduate programs, the university continues to build upon its Jesuit tradition, expanding its programs and ensuring the success of its second century. The year-long centennial celebration begins with Centennial Kick-Off Weekend/Alumni Weekend April 13 – 15. The women’s basketball team wins the Gulf Coast Athletic Conference Women’s Basketball Championship (2007 and 2009).